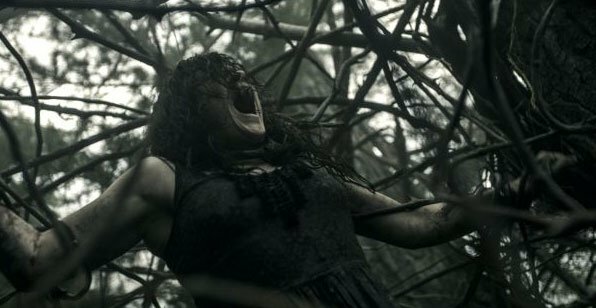 Sony’s international division has released five new images from Evil Dead to sites overseas. While three admittedly look like screen grabs, showing us stuff we’ve seen in the trailers, two photos are definitely fresh publicity shots. Head inside for a look! 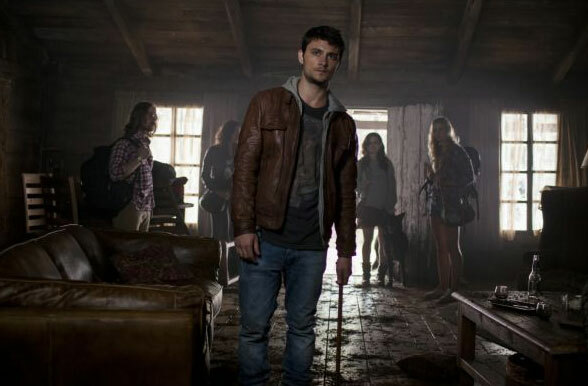 Opening April 5th here in the U.S., the film, directed by Fede Alvarez, stars Jane Levy, Lou Taylor Pucci, Shiloh Fernandez, Jessica Lucas and Elizabeth Blackmore as five twenty-something friends who hole up in a remote cabin where they discover a Book Of The Dead. An archaeologist’s tape recording reveals that the ancient text was discovered among the Khandarian ruins of a Sumerian civilization. Playing the taped incantations, the youths unwittingly summon up dormant demons living in the nearby woods, which possess the youngsters in succession until only one is left intact to fight for survival.